Coming soon to the Beta Store. 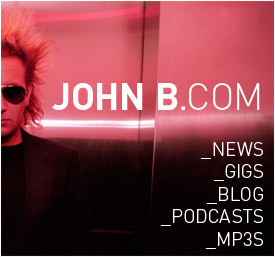 Having secured Album of the Month from Mixmag and Album of the Week from The Independent for his recent long player ‘Light Speed’ John B’s musical prowess continues to grow far beyond his drum & bass roots. 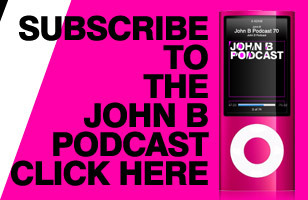 With an outlook that’s embracing of fresh influences while always bearing the hallmarks of a very unique sound, John B is still one of the most exciting artists to arise from the D&B revolution of the ‘90s and continues to push the boundaries with every release. On this, his latest single, John B delivers a stunning take on the ‘Trance & Bass’ sound that he made so popular. Teaming up with Kirsty Hawkshaw who lends her bright and breezy vocals to John’s sublime backing track, this is simply great electronic music that fans of great melodies and beautiful songs will love. Clocking in at 174bpm, most D&B is beyond the comprehension of many listeners, but ‘Connected’ stands up as both a driving piece of fast breakbeat trance music and a warming reminder that musical genres are for trainspotters, not for music fans. Next up McMash Clan take a break from releasing on Flux Pavilion & Doctor P’s Circus Records to rework ‘Connected’ with some all-important dance floor filth. If you’re someone who prefers their bass music served with a wall of sub-bass weight and some face-pounding, unrelenting beats then this whacking great chunk of drumstep-to-D&B will surely satiate your every desire. Matching the beauty of John B’s original with the beast of McMash Clan’s sonic assaults, this is the perfect way to assure shear dance floor devastation whenever you drop it. With this release John B once again shows us exactly why he’s regarded as a legend in the dance music world. His glittering career filled with triumphs and overflowing with fresh ideas just got even more impressive. ← Previous Previous post: Terravita “Nail in the Coffin b/w Drinks Up Hands Up” OUT NOW!